.Celebrate the 100th day of school with this raglan personalized with teacher name or "my teacher". 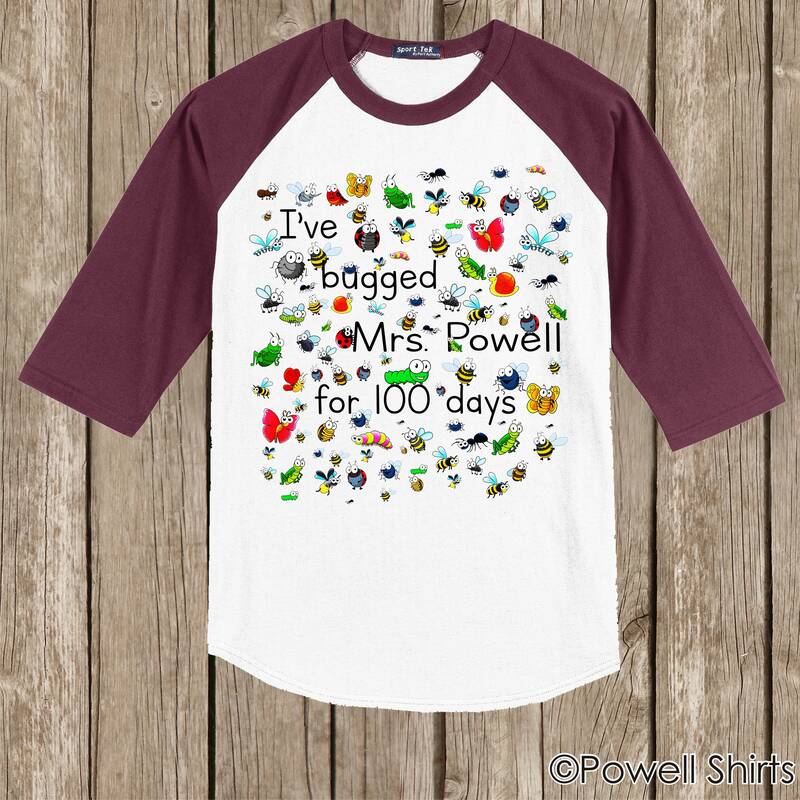 Shirt features 100 bugs for 100 days of school and text "I've bugged (teacher name or "my teacher" for 100 days." White shirt body with CARDINAL sleeves as shown in image. See other listing for other sleeve color options.